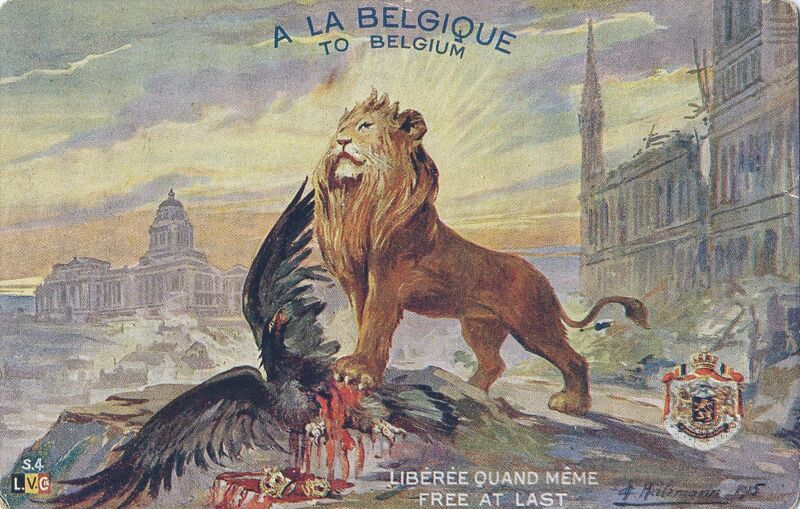 Before 1914, it was commonplace to refer to Belgium as a "nation with limited interests". Indeed, while France, Germany and Great Britain could point to their ancient national heritage, some people viewed this young kingdom born in 1830 as a kind of enterprise, in which the residents of Brussels, incarnated by the image of the "Beulemans", were little more than petty shopkeepers, without passion and ready to negotiate anything, provided that it yielded a nice dividend. 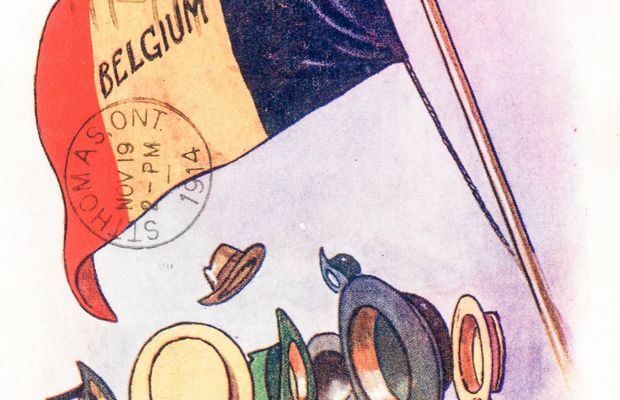 However, the First World War adds a degree of national and even nationalistic fibre to the image of Belgium, that some even view as almost romantic. It now seems to be inhabited by a soul and by principles. In August 1914, Albert 1st, King of the Belgians, calls for the respect of international law when faced with the German desire to "transit" via Belgium in order to fend off a fictitious attack from the French army. This respect for law, this battle of David against Goliath, widely caricatured by chroniclers from around the world, creates a new image of Belgium. It comes to be viewed as a country defending itself for its principles. And, something never before seen, as a country with "the right to exist". The siege of the city of Liège and the determined defence of its forts, in August 1914, contribute to building up this idyllic image. Primary schools fill the heads of future generations with these episodes that immediately become part of the national legend. 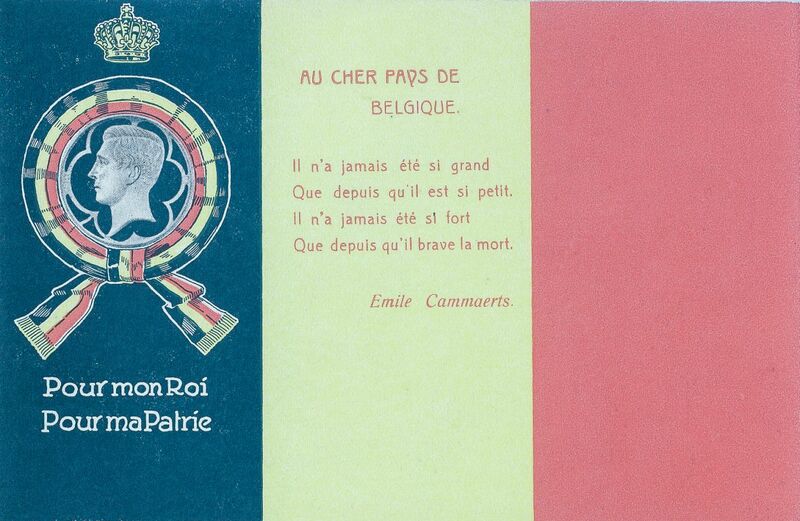 Foreign countries then take up the cause of this poor Little Belgium: on Broadway, the star Prima Dona sells apples on which the name of "Belgium" is written, France hails the defence of Liège by awarding the Legion of Honour to the valiant City, while Italy, still neutral in August 1914, nevertheless welcomes the pro-Belgian conferences of Jules Destrée and Georges Lorand, and itself soon joins the conflict.